Oh my! Thank you, i started to use "detailed view" because of this issue, now i can finally go back to table view. 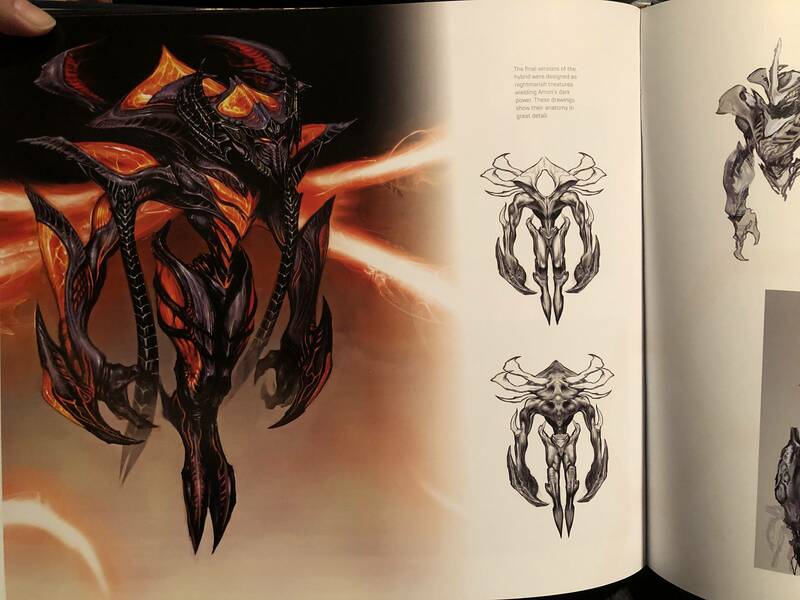 DEFILERRULEZ posted a message on Brand new, unseen Xel'Naga and Hybrid Concept Art from "The Cinematic Art of StarCraft"
DEFILERRULEZ posted a message on Is "Mercenaries II" from StarCraft Brood War, Canon ? As we know "Deception" and "Resurrection IV" are 100% canon, but the wiki doesn't make any statement about Merc2 being actually canon or not, i alwais had this doubt about this mission, does anyone remember if there are proofs of it being canon or the contrary? "Dies of sheer heart attack" LOOK OVER HERE! New models? So you know that i have a fetish for custom models! Sure thing. But you're gonna be the one fighting them. I am ready, do it! Thanks to VastanX, all Annihilation missions have now been supplied with unique models for several of the campaign's main characters. Thanks to you for making these, Vastan! This does mean that I have updated all missions with these models, as well as several other changes. See the full list of changes below. All Missions: New, unique models and wireframes have been made for Maxwell Reeves, Morganus Krayen, Jared Malrick, Ivan Crowley and Harris Arrow. A new portrait has also been made for Harris Arrow. All Missions: Loading screen has been updated to coincide with new Hero models. In addition, a brand new loading screen has been created for Mission 01 "Mindless Creatures". All Missions: Loading screen text has been moved slightly to the right. A21, A22, A23: Flashback images for cinematics have been altered to coincide with updated Hero models. Currently under review, so they might not be available for a couple hours. Thank you! I'll definitely record the videos without using too much quicksaves one day! Hey Dudki good luck with the last mission of your campaign, sorry if i didn't tested your last maps but i was forced on Hospital for months a year ago since i almost lost a limb and now i have a huge backlog of custom campaigns to test, i don't feel like i can rush maps to reach mission 23 just yet, i am just sad because i really wanted to provide all the feedback i could provide on one of the best custom campaign ever createrd on the whole history of StarCraft 1 and 2. DEFILERRULEZ posted a message on Premium Arcade Maps are almost here... What do you think about it?